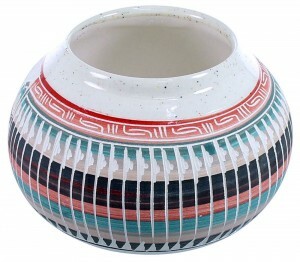 Pot measures approximately 3" tall, 4-1/8" wide and is 13-3/4" in circumference (around its widest point). 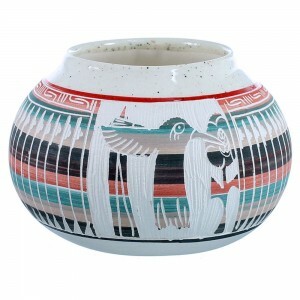 This breathtaking Native American pot was hand etched and painted with traditional patterns and a magnificent Hummingbird and Flower design by Navajo artist Tamaria Arviso. 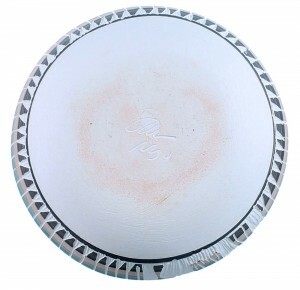 The pot is signed Navajo and by the artist.